This tool (available with a focus on Zika only, or on Zika, dengue, and chikungunya) is aimed at community volunteers and health promoters to facilitate home visits using the ACCEDA steps (attend, converse, communicate, identify, demonstrate, say, and agree) in support of the promotion of key behaviors for Zika prevention. Each card has two sides, one with images to use when talking with the family and the other with information and images that help the volunteer to know and handle each behavior. The behaviors in the tool are based on The Zika Prevention Behavior Matrix and the contents are based on the "Technical Specifications Content Guide for Behaviors with High Potential to Prevent Zika." Organizations, institutions and projects can make adjustments to adapt the tool to the needs of their organization and country. 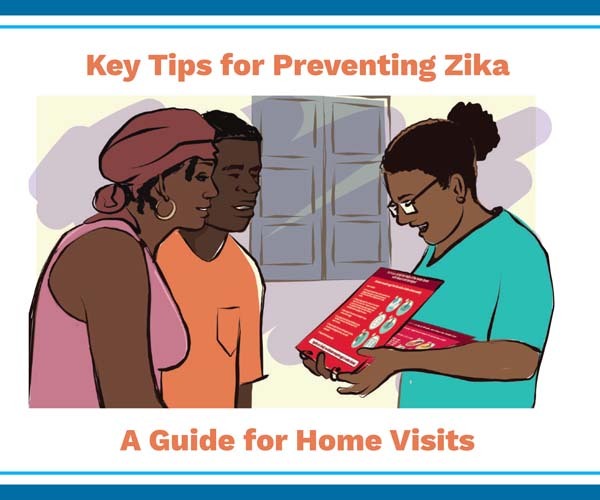 Read the Recommendations for the Adaptation of Key Tips for the Prevention of Zika: Guide for Home Visits (in Spanish) before making adjustments to the tool.